Simple, elegant, refreshing, and quite lovely, that is what you will find in this pot of gold recipe. The vodka cocktail may have just five ingredients, but these are some intense flavors and they work extremely well together. Reading the recipe, you may think that this will be a gentle, sweet drink—that is until you get to the ginger beer. That single ingredient kicks the flavor up to a new level, adding a snap that contrasts the refreshing flavors of cucumber, elderflower, and mint quite nicely. Overall, for a springtime drink—whether it's St. Patrick's Day or not—this is a gem that may soon become a new favorite. In the bottom of a cocktail shaker, muddle the cucumber and mint. Add the vodka and elderflower liqueur. Strain into a chilled cocktail glass, then top with ginger beer. Garnish with a cucumber wheel and a few mint leaves. 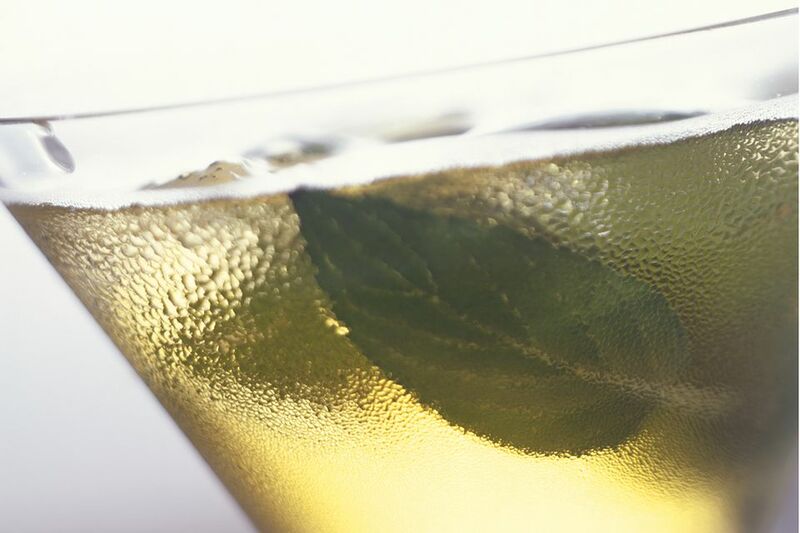 You may find that you prefer St. Germain Liqueur over an elderflower syrup for the simple fact that it's easy to find. Yet, the syrup can be homemade or purchased at the store; both Darbo and Monin make elderflower syrups that are very good in this drink. Which you choose may just be a matter of what you have on hand. Wake up your mint to make it even more flavorful by slapping the leaves in your palms before muddling. Since the ginger beer is a short pour in this cocktail, think about using one that has a robust flavor to really give the drink a kick. Bundaberg, Q Ginger Beer, and Reed's are all excellent options. Any cucumber will do in the drink, but you may want to seek out English cucumbers specifically. This variety is sweeter and less bitter than the average slicer cucumber. Plus, the seeds are so small that they typically don't get in the way of drinking if they make it through the strainer. With larger cucumber seeds, you may want to remove any floaters. One way to give this cocktail a slightly new flavor is to pour a flavored vodka. Some nice options include citrus, melon, peach, pear, pomegranate, and even vanilla. You can also make your own infused vodka flavored with cucumbers or a tropical fruit like mango or papaya, all of which are difficult (if not impossible) to find from commercial vodkas. Rather than mint, try using borage in this recipe. It's a fun herb for cocktails and the flowers and young leaves have a flavor reminiscent of cucumber, so it's a perfect fit for the pot of gold. How Strong Is a Pot of Gold? The pot of gold is similar to most martini-style cocktails in that it's a relatively potent drink. When made with an 80-proof vodka and St. Germain, its alcohol content comes in around 22 percent ABV (44 proof). For comparison sake, that's similar to the average cosmopolitan.